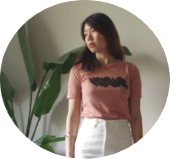 Just when I thought wearing shellfish was uncool, I discovered Heal Fashionlab. This new French label from Alice and Herve is exactly what I've been looking for from all the fashion weeks. It definitely looks like a lot of thought, skill, and also fun (can't forget the fun!) went into it. And you know what? 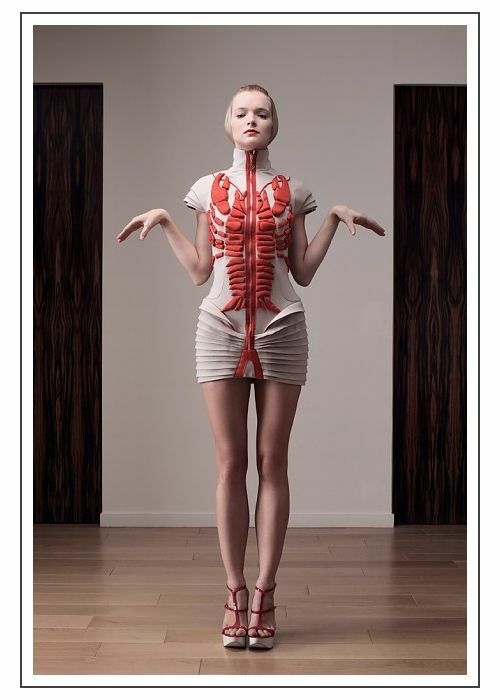 I'd actually wear every piece (yes, even the lobster dress). It would be like showing off a piece of art. No fold, pleat, and stitch looks out of place. I mean just check out the dress ARA. It looks as if several quilted angel wings strategically placed themselves on the front, and the wing tips match perfectly with the bottom trim of the dress. Best of all, everything looks super comfortable. I also love the animated preview pics on their site. All the weird moving gave me just the freakout I needed. Those are such interesting pieces!